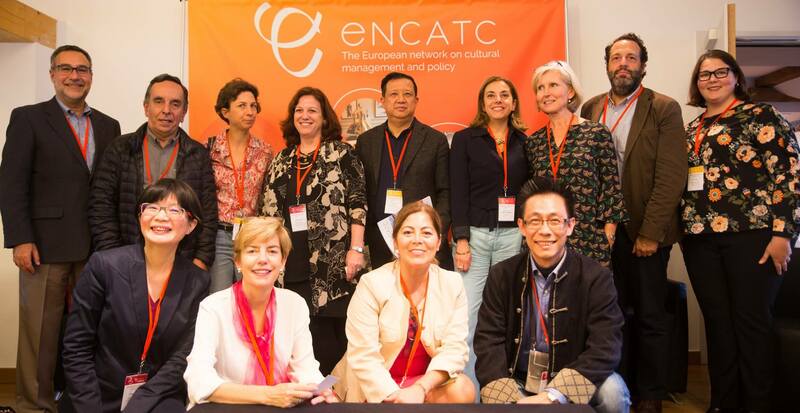 Brussels, 14 November 2017 – ENCATC, the European network on cultural management and policy, AAAE, the Association of Arts Administration Educators, and TACPS, the Taiwan Association of Cultural Policy Studies release today the Brussels Manifesto on Arts Management, Cultural Management and Policy Education. This document is the first of its kind to present the current needs and future visions of educators, researchers, cultural operators and public authorities to make significant advancements in the field of cultural management and cultural policy. It is meant to raise issues to develop dialogue, and to offer an opportunity for discussion among our respective members and between our (and other) networks. the exploration of different organizational forms and collaboration models of arts andculture that can transform society, education, and business.In its final version, the Manifesto has been written in the framework of the new Global Conversation project developed by ENCATC and AAAE and to which TACPS later joined. Key leaders on the initiative include Sherburne Laughlin (American University, USA), Alan Salzenstein (DePaul University, USA), and Annick Schramme (University of Antwerp/Antwerp Management School, BE).“This year, as we celebrate 25 years of ENCATC’s valuable contributions to cultural management and policy education, training, and research, we have been reflecting on the network’s future. We offer this Manifesto as an important step in extending our work through an international comparative perspective and developing strong international links. We hope it will have a lasting impact on the sustainability and competitive strength of the cultural sector as we work to balance local needs with global challenges concerning our field,” said ENCATC President, Annick Schramme at the occasion of the first public announcement of this significant document last 28 September in Brussels. “This project is one of the major 2017 outcomes resulting from the two Memorandums of Understanding that were signed by ENCATC with AAAE and with TACPS in 2016 and 2017 respectively. These agreements represent the formalization of a collaboration that has been growing over the past 22 years with AAAE and the last 5 years with TACPS with the overall aim of formalizing our respective commitments to promote increased collaboration for mutual benefit. 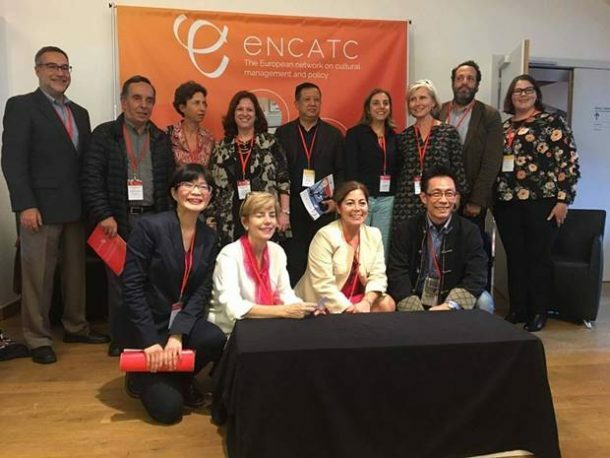 The document is also a clear proof of the wish of our three networks to start playing an active role in the global societal change instead of reacting to a pre-defined context for arts and culture management education,” said ENCATC Secretary General, GiannaLia Cogliandro Beyens. Download the Brussels Manifesto here.